My friend was at Mt. Carmel Community at the Village, and it was very nice. We arranged for her to have a small apartment. It was a room with a full bath, and a little kitchenette area. She basically took two rooms and they put a door in between. They have activities, and two social directors, one comes on Monday and Tuesday, and the other one comes in Wednesday through Friday. Some people do social directing on Saturdays as well. They bring in various programs from outside, some bands in the village would go in, or individuals would go in and play for an hour or so every month. The food would depend on who was cooking for that day. I dont think the place was very well managed. The success was based on what some people brought into work, rather than those managing it. The staff was a five, but they were not properly supervised. Mt. Carmel Community at The Village has independent living cottages. They're extremely nice, have full kitchens, two bedrooms, a dining area, living room, and a garage. They have two different club houses and they have a variety of activities. They also have access to a fitness center in the village that they pay a membership fee for. The staff is excellent. They have housekeeping twice a week and meals are included. The cafeteria is excellent and everyone I talked with had nothing but good things to say about the food. Mt. Carmel Community at The Village is quite new. It's only several years old. It has varying levels of care. There were independent cottages as well as assisted living, but there's no skilled nursing on-site. They have several different floor plans available. The independent living is all one floor plan because they're individual cottages. The assisted living has varying floor plans. Some are 400 square feet up to 700 square feet. The cafeteria was very nice. The residents seemed to be engaged in various activities. They showed me a calendar and I observed people playing cards in their community room and some older gentlemen watching television together. The staff was very friendly. They had extra staff members that day because it was an open house. They were very helpful and answered every question to my satisfaction. It's an excellent facility. Mt. Carmel Community is a senior living provider in Hot Springs National Park, Arkansas that offers residents Independent Living. Contact Mt. Carmel Community for more details on services and rates. 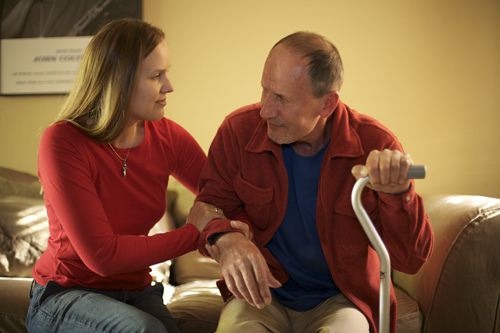 What should caregivers and potential residents know about Mt. Carmel Community?